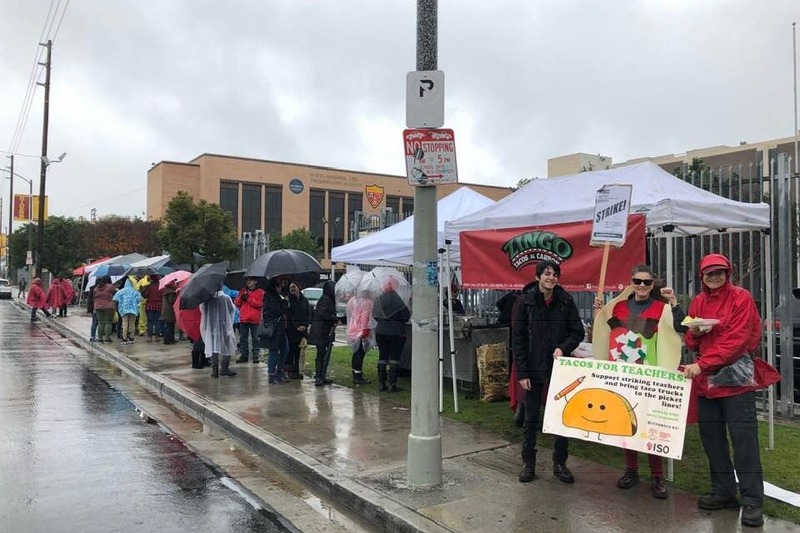 Our campaign fed over 10,000 striking educators, students, and community members throughout the duration of the victorious UTLA strikes in January. We need to raise a little more to cover the costs of these meals. Help us reach our goal, even a few dollars helps a great deal. 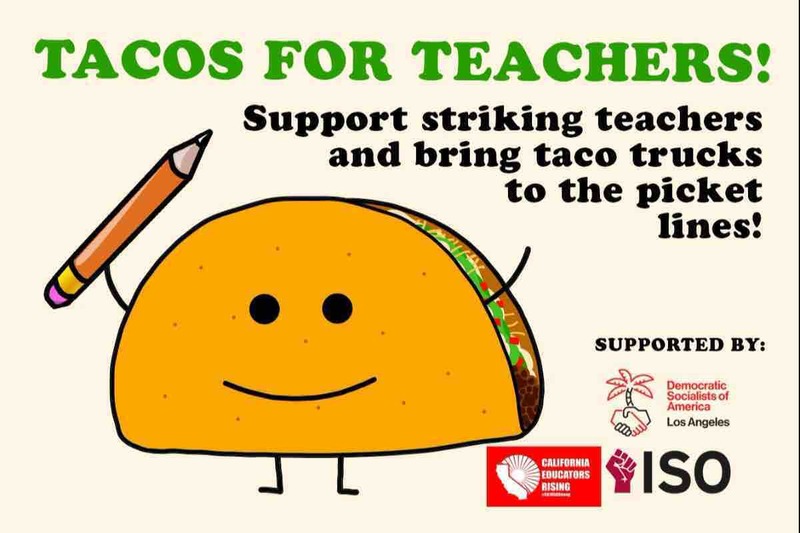 Help support striking Los Angeles teachers and their fight for public education by donating to Tacos for Teachers, the fund that brings taco trucks to the picket-lines. Any remaining funds not used on tacos goes directly to Alliance to Reclaim Our Schools. Public school teachers in the Los Angeles Unified School District are fighting for the schools we deserve. The district is refusing to meet their demands, so the teachers' union, United Teachers Los Angeles, will strike beginning on January 14. A note to all supporters: Funds will be collected by Clare Lemlich, one of the volunteer coordinators of this campaign, and paid out to our taco provider partners. 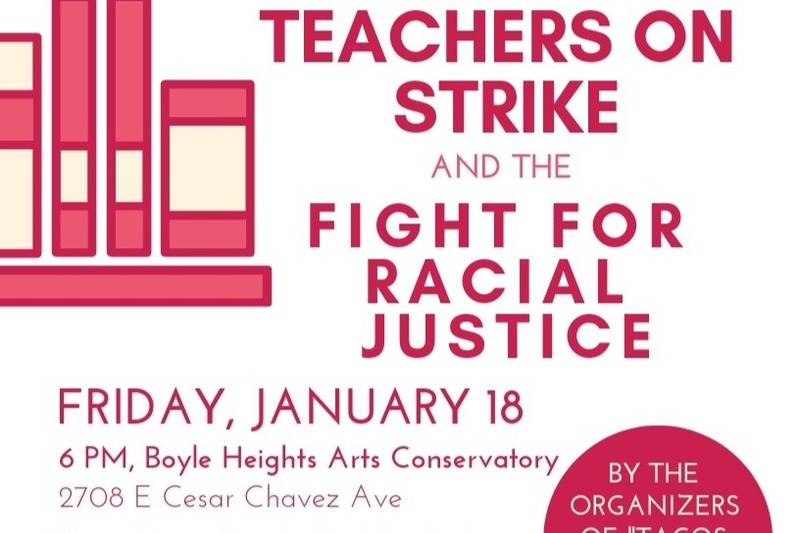 Remaining funds will be sent to to central strike solidarity fund with Alliance to Reclaim Our Schools. 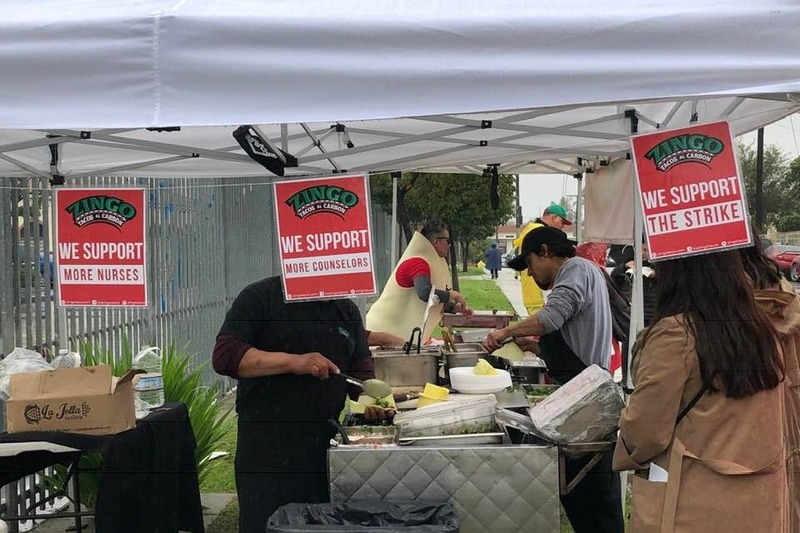 For a strike in every state and a taco truck on every corner! 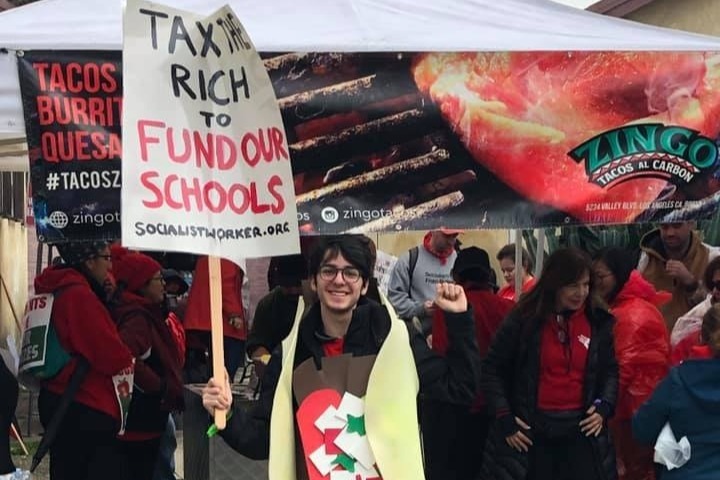 -- With thanks from the International Socialist Organization, California Educators Rising, and Democratic Socialists of America. Educators at the first charter school strike in California and the second ever in the country need our support. They are facing vicious attacks from management and a heavy police presence. 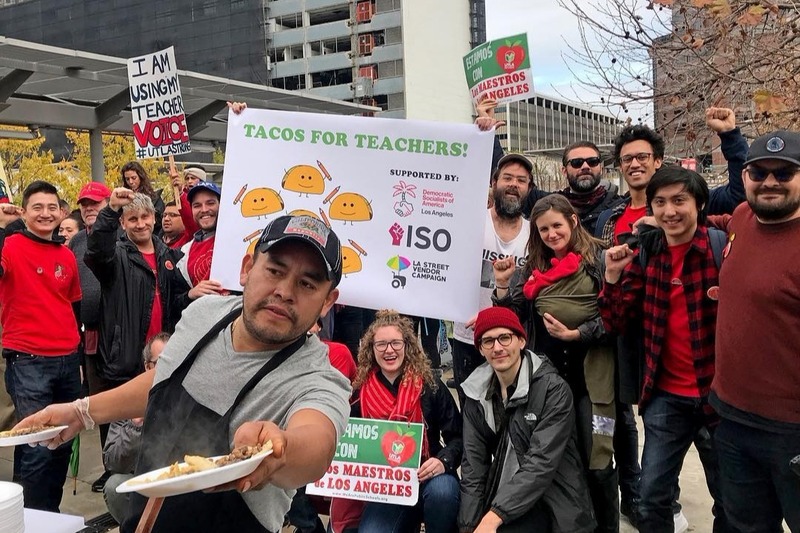 Tacos for Teachers sent food to their pickets today, but these educators desperately need moral and material support. Thank you dear supporters, we now have nearly $35,000 in solidarity funds!